I’ve personally never found Google Product search all that useful, but hopefully that will change now. 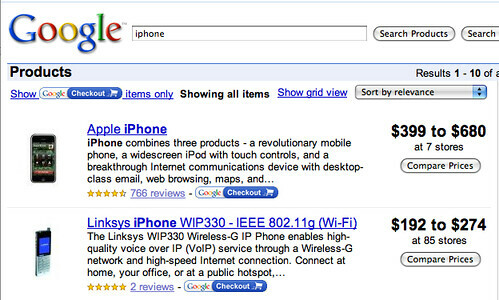 Google Operating System reports that Google Product Search has undergone a redesign of some sort. In the past, Google Product Search just showed you results but did not group stores offering to sell the same product with reviews and technical specifications. 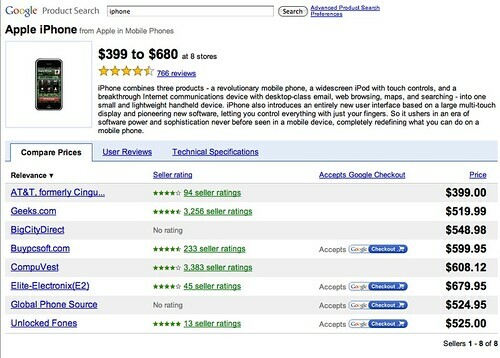 Now, for some searches, Google groups store results, shows reviews on Google, and also shows product specifications.